I always get excited when I get to try new restaurants, or more importantly ones I haven’t heard about … and are halal friendly! Win win! 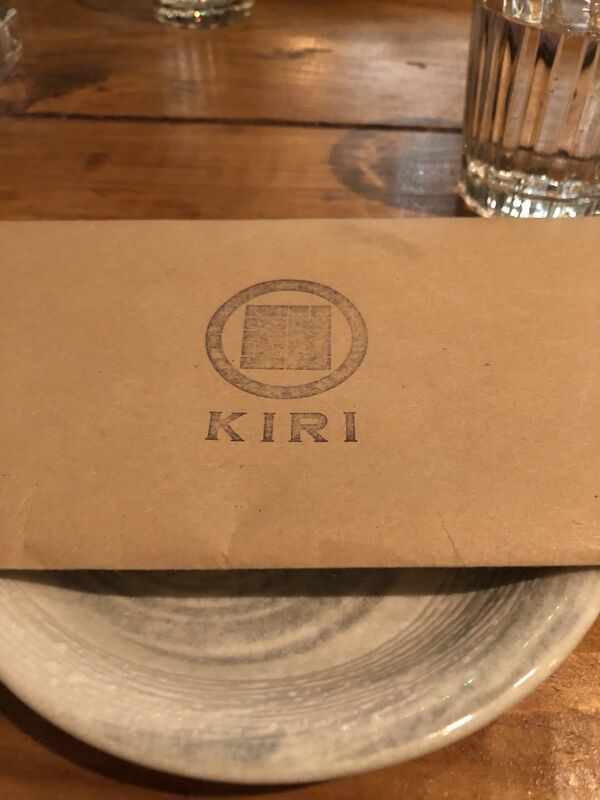 I recently came across Kiri, a Japanese Restaurant just off Bond Street (opposite Drunch!) My friend and I headed there after a rainy shopping trip.. one of many! The interior is a small-mid sized space.. and whenever a guest arrives at the restaurant the host shouts something in Japanese and the rest of the service responds (in a similar shouting tone!) in Japanese … now I had no idea what they were saying but it sounded like fun nonetheless. The service was really helpful.. the fact that I hadn’t asked him about halal options but we had enquiries about it while booking was great. All the halal dishes were pointed out to us and explained. Now the dishes that are halal are pretty random. Some of the chicken, some of he steaks were halal but not all, this is because some contain alcohol. We decided to go for a few mixed options. The concept is small plates so no real starters or mains I guess (apart from steaks etc) so we ordered a bunch of dishes – Miso Aubergine, shrimp tempura and a whole lot of sushi, chicken teriyaki (but as the teriyaki sauce contains alcohol we opted for a yuzu sauce) and kimchi rice. 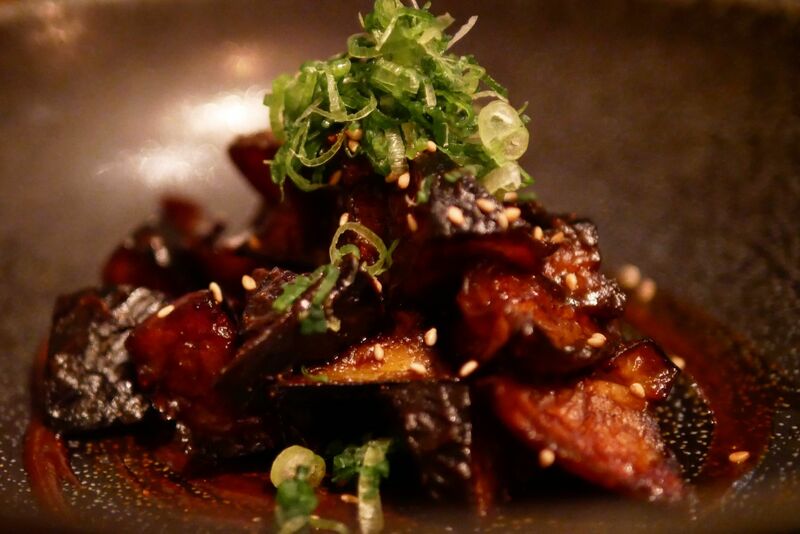 First … the Miso Aubergine wasn’t something I was totally keen on because it fels a bit odd to be having aubergines when there are halal meat dishes to be eaten! But our lovely waiter was quite insistent so we tried it.. and so glad we did. It was great I loved it, I felt that the skin was a bit hard but the tastiness really took over. 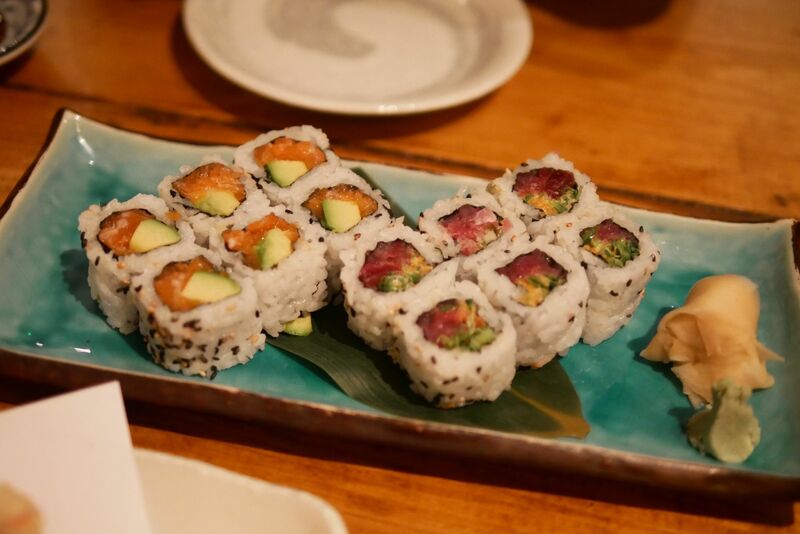 For sushi, we got the salmon and tuna maki. The tuna was my favourite, it was crunchy and so tasty although at £12 for 6 pieces it was pushing it a bit in terms of price vs experience. 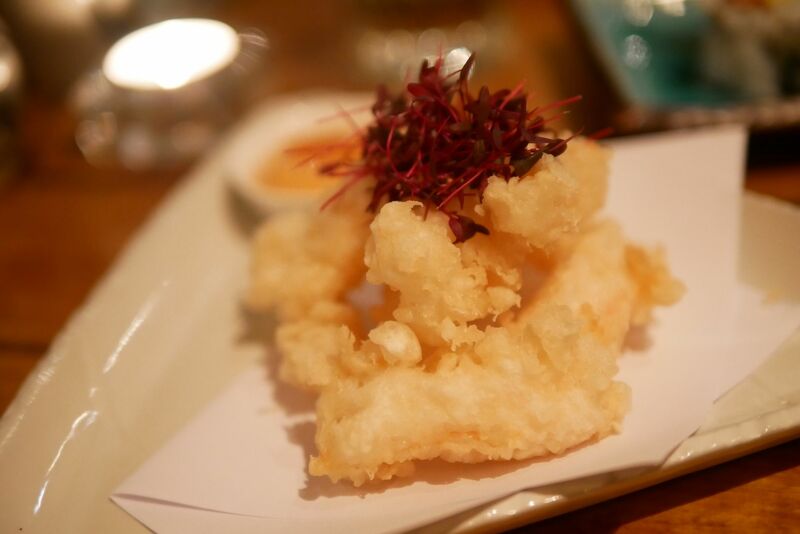 The shrimp tempura was nothing special, just a regular tempura doing it’s thing in life, but nothing exciting – it was a mediocre dish or at least felt like it in comparison to everything else. I’d miss this one off next time round I think. We got the Chicken Teriyaki but our waiter advised against the teriyaki sauce as it contains alcohol. He gave us an option of some alternative sauces and we went for a yuzu. This was one of my favourtie dishes, and I could have licked the plate clean if it was socially acceptable. The chicken was tender, juicy and so tasty! 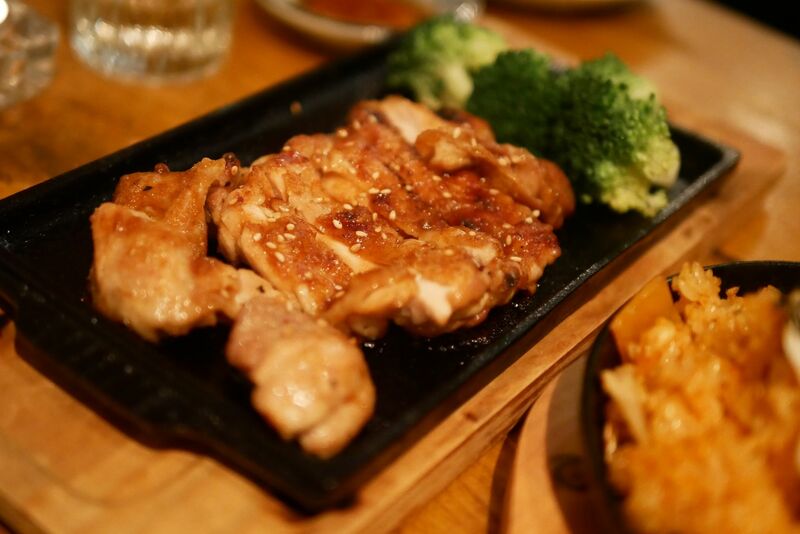 I can’t remember the last time I had such succulent chicken – it was pretty dreamy! 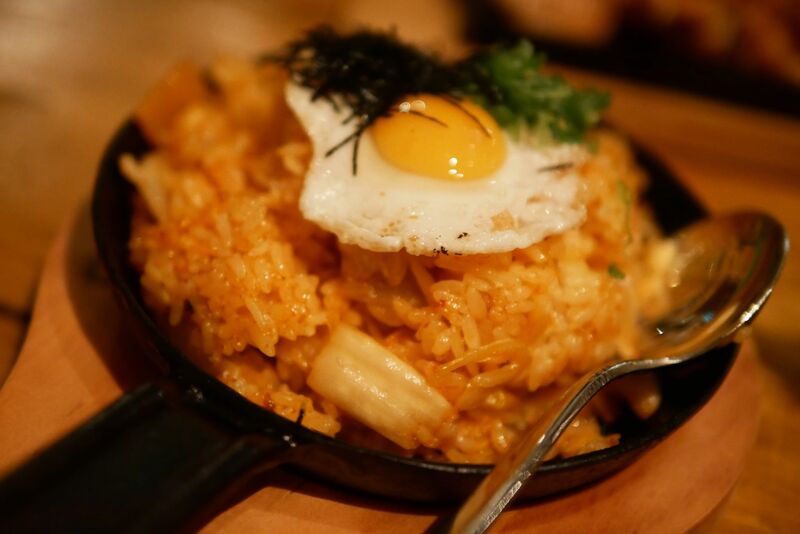 We got some kimchee rice to go with the chicken which was great on its own to be honest! Now onto the desserts, there was nothing that really excited me about their dessert menu but nonetheless we went ahead and ordered 2 because you can’t have a meal without a dessert! 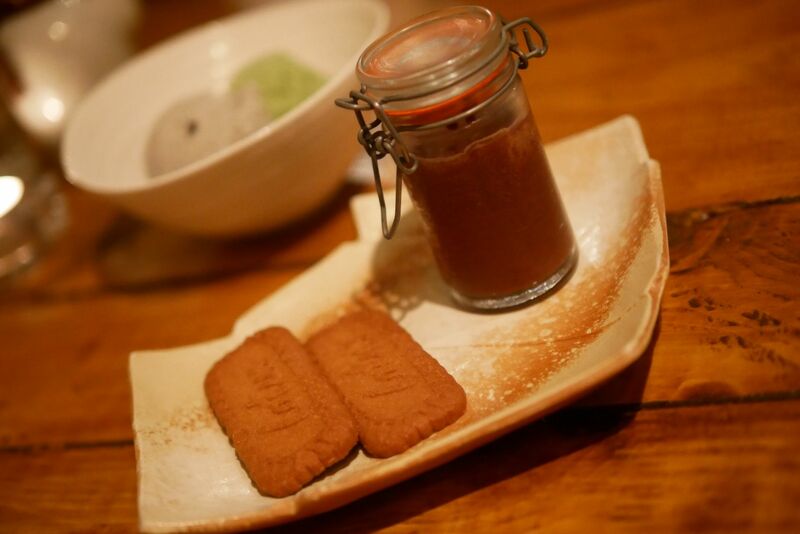 My friend got the chocolate mousse and I went for the ice cream – 2 flavours of green tea and black sesame seed ice cream. 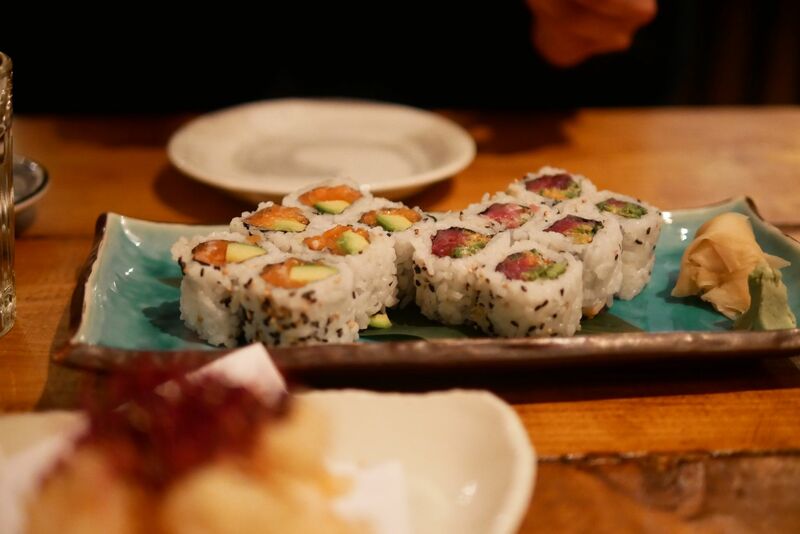 I absolutely loved both flavours, the green tea was just the right amount of tea-flavoured and the black sesame seed the right amount of sweet, what a great combo! Overall, I absolutely loved this little gem of a place tucked away in the back streets of Oxford Street. I don’t think there is anything that I could fault about this restaurant. I think I may have found my new favourite hideout. Although I have to say for 8 small dishes, I wasn’t expecting the bill to be £85 (£42 per person). I know 8 dishes sounds like a lot and you’re probably thinking i’m expecting too much for too less, but I guess the size of the dishes was not enough to warrant a £42 pp bill. Part from that I have to commend the service, everyone was so friendly, helpful and accommodating. Overall, giving Kiri a total TLH score of 7 out of 10.